The follow fit crash review is a guest post submitted by a reader. If you would like to publish a review of an awesome studio in your hometown, please get in touch! Welcome to Milwaukee, WI where the beer, brats, cheese curds, Friday Fish Fries, and custard are on the must try food list for visitors, because the locals already know where to go for the best. I had become accustomed to walking to the studio in our old neighborhood to help recover from my heavy lifting weeks or an overloaded soccer referee schedule. It’s taken me several months to get back to the point that I needed to find a new studio. I’ve been building back my strength after having surgery to repair another tendon in April. I also have heard that yoga in the Midwest was not the same as in the East. I never thought Pittsburgh was the east! Based on a few friendly reviews, there are several locations I have avoided up to this point as I’ve been told that they were either not HOT ENOUGH or challenging. I’ll save up my visits to those locations as the weather here in Wisconsin changes. Thanks to Google, I think I may have found the right studio for me on my first try at Healium Hot Yoga. I had decided to try it first on a Sunday morning after my first Saturday 10 mile running program. I was able to take advantage of their new student offer of 2 weeks unlimited for only $25, so I could sample several different classes and meet a few different instructors. This was the perfect way to figure out the best fit for both my body and my schedule. Since I haven’t really sent out a note before, I’ve left Pittsburgh, relocated to Milwaukee in June and have started working downtown while living in south suburbia. I’ve moved my soccer officiating certifications to Wisconsin, so now I’m starting up with the fall HS Soccer season while I’m also finally getting my gym workouts back to normal strength after spending most of this summer rehabbing and rebuilding my pre injury strength levels. I’m not your typical guy that shows up at yoga, but my body appreciates the challenge of holding the poses and really getting a good stretch. So I was only really looking to do just one class, but the newbie promo gave me an excuse to get out and try several different classes. The energy that Robyn brought to her Vinyasa hot flow was pretty amazing. The sweat levels were perfect to push the heart rate and breathing to just the right level. Healium Hot Yoga is not the high-end studio with the high-end changing spaces and showers. Yoga Alive in Cincinnati still gets that award. It’s actually a very small but intimate space, and Robyn and her team practice yoga and push the practitioners’ at their own pace. Because it shares space with Healium Massage, the studio doesn’t have any high-end spa features that you may find in other cities. There are no showers, no high-end yoga clothes to sell, no fridge with chilled drinks to offer. There is a bathroom and changing space and the studio always has water to fill your bottle up. But considering every other yoga studio I’ve heard about here does not really say “hot” or “challenging,” this may be the best MKE has to offer. The classroom itself holds only 14 people, so no matter what class you take know that it is going to be very intimate. There’s light shining in from the side windows (while summer is still here) and a full length mirror at the front. If you need a perfectly balanced room, note the space is asymmetrical. I would say it was the perfect follow-up to the previous days’ chest and triceps workout in the gym. The down dogs helped get my calves back to normal after all the previous weekends’ soccer. It definitely was more intense than the vinyasa flow classes. 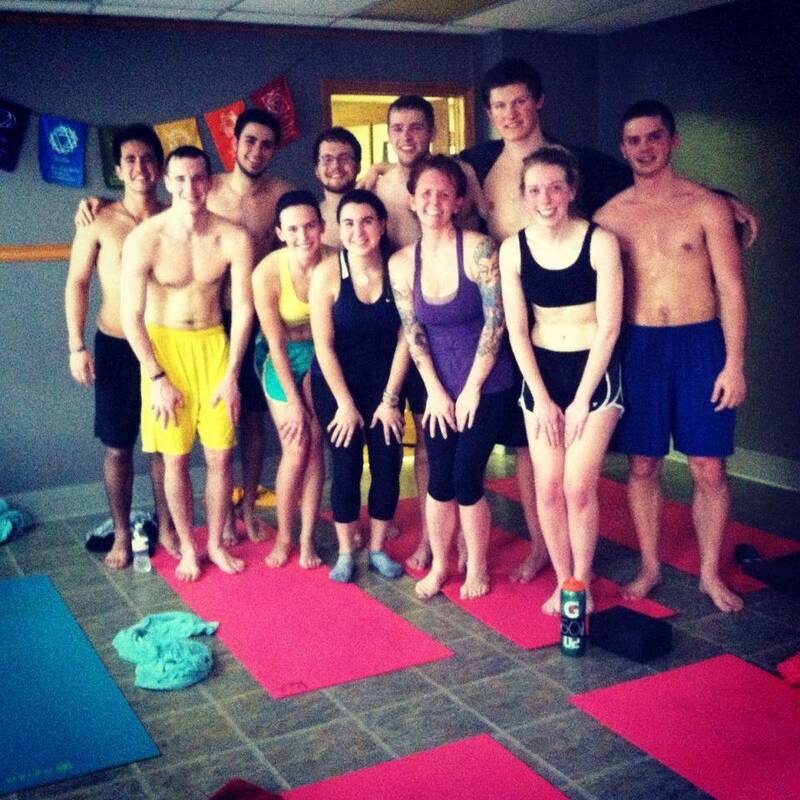 Was it the hardest yoga class ever? No, but it was very helpful to challenge my muscles differently than at the gym. I definitely felt the exhaustion from doing the work in the heat. Robyn and Allison both did an excellent job walking around the room and giving personalized feedback for the various flows. They also were helpful in providing suggestions when my body could not get into a position since it was my first time back at yoga in a long while! Thanks to them both for the gentle nudges. I’ll definitely add them to my weekly training schedule! They are on my way home from work and not too far away from home, convenient enough that they make a Saturday class easy to attend.